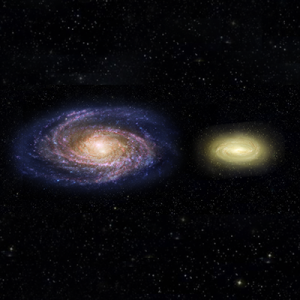 Paper Spotlight: "A massive, dead disk galaxy in the early Universe"
NMSU Astronomy professor Dr. Moire Prescott recently co-authored an article in Nature on the surprising discovery of a massive, fast-spinning, disk-shaped galaxy in the early Universe that appears to be “dead”, in that it has long since stopped making any new stars. 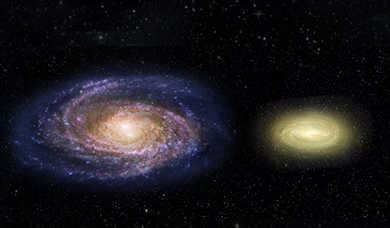 Dr. Prescott contributed the dynamical modeling demonstrating that the galaxy is rotating more than twice as fast as the Milky Way. The results were highlighted in a Space Telescope Science Institute press release on June 21, 2017 (excerpt below) as well as in a local NMSU/Las Cruces Sun-News “Eye on Research” piece. The full Space Telescope Science Institute press release is available here. The NMSU/Las Cruces Sun-News “Eye on Research” article is available here, and a video interview is available here. The original article published in Nature (June 22, 2017) is available here. 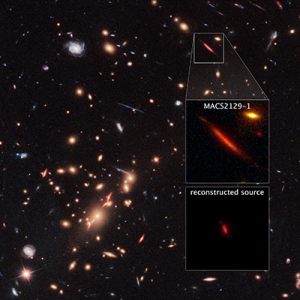 This entry was posted in Paper Spotlight, Science Highlight and tagged distant galaxies, galaxy clusters, galaxy evolution, gravitational lensing. Bookmark the permalink. Follow any comments here with the RSS feed for this post. Both comments and trackbacks are currently closed.